A launch control limit is user definable and operated with the supplied launch button to give consistent starts, reducing wheelspin or engine 'bog down'. Omex's acclaimed digital setting method using increment and decrement buttons and LEDs allows the user to set the shift light rpm in 100rpm steps. Non- amplified and externally amplified ignition coils; electronic or contact breaker distributors, 2 4 6 or 8 cylinders. Magneto and CD ignition systems are NOT compatible. Modern EFI engines often have rev limiters built into the engine control unit but their response is slow, causing the revs to drop considerably before reapplying power. Adding a Rev Limiter Clubman to act just before the standard rev limiter means that if you reach the rev limit you will lose far less time. Consistent, optimal gear shifts. Engine over-rev protection. Faster launches. 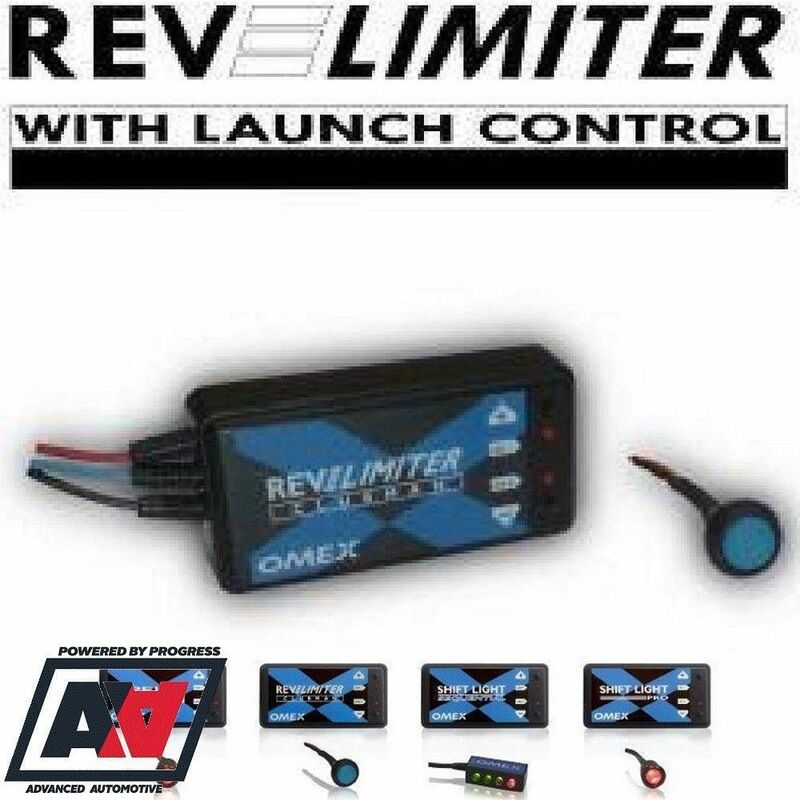 All racers need these, and Omes Technology's range of Rev Limiters and Shift Lights provide the solutions.